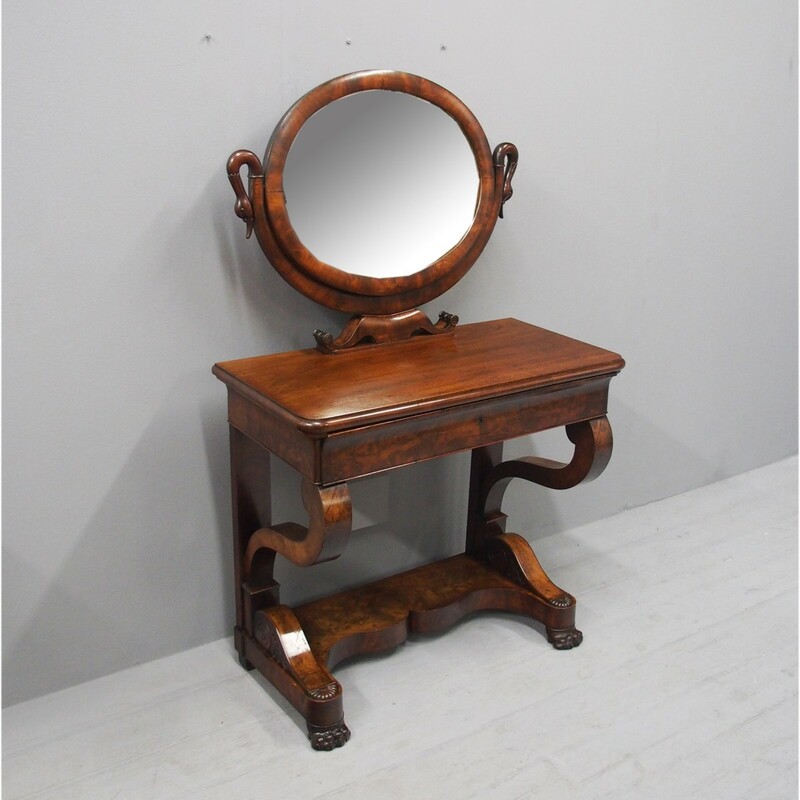 Circa 1860, French Second Empire Period Mahogany Dressing Table. With oval mirror that is held in place by a shaped mahogany frame with carved swan heads to each side. The surface beneath this has a round moulded fore-edge and a shaped drawer in flame mahogany, with a sliding compartment inside. It stands on scrolling brackets to the front and simple uprights to the back, leading on to a raised platform base with scrolls and foliate carving, finishing on animal style foot to front and block feet to the back.